Every Mac Miller album searches for something. They’re winding and knotted journeys through hardships, drug addictions, love, and the thrill of going ballistic. 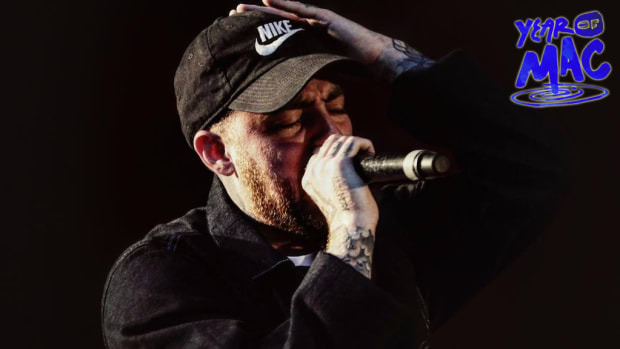 There’s no telling if Mac ever found what he was looking for, but by each album’s conclusion, there was the sense that he had to leave the scene before things got out of hand. His outros were literal escapes, puffs of smoke he allowed us to witness him craft before they engulfed him and we were left with empty space. These tracks did less to conclude the album and did more to conclude Mac Miller’s movement on the album. 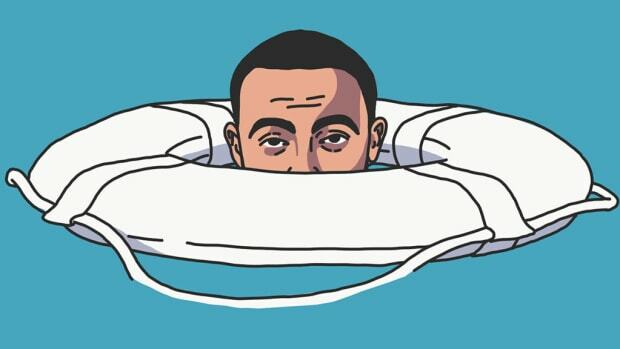 The man he becomes by the end of Faces, GO:OD AM, and Swimming is wholly different than the man on the intro track, even if the outro sometimes feels out of place. There’s a jarring quality to some of his departures, the intent of which we can conclude comes from Mac’s own inability to fully face himself, even on his most self-effacing work. He has a threshold of self-assessment and once he reaches the line, it’s time to dip, damnit. Whether he exits the scene of the album out of fear or overwhelmedness, the note is that his outros are blaring exit signs all the same. All of this is why “Grand Finale,” “The Festival,” and “So It Goes” work in concert to highlight what the outro meant to Mac Miller as a human being, not simply as a rapper. While a majority of his outros function in a similar fashion, these three songs seem to be most in conversation with each other, and so they are our subjects. And that is the crux of a true Mac Miller outro: he must escape in order to say he “made it out alive.” Does this mean the album is effectively trying to kill him? 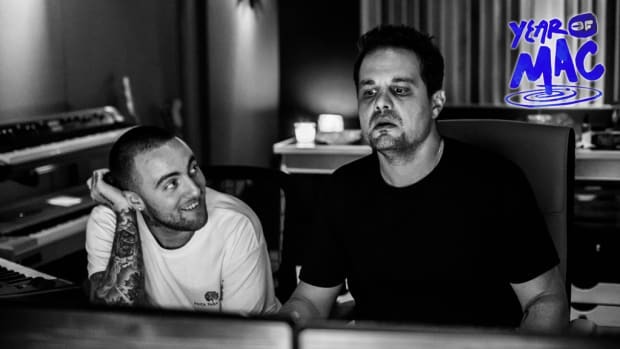 Not exactly, but it does suggest that the journey of the album is a moment of extreme turbulence for Mac, which, per his content, seems to hold water. As all of his collaborators have said, he was absolutely obsessed with creating music. Music was his lifeblood. Imagine the vexation, then, of having the thing that sustains you also be the thing that haunts you. To be both scared of leaving the studio, and also scared of what goes on inside the studio is to exist in a terribly bifurcated state. Taking all of that into consideration, it’s no wonder Mac wants to escape his albums. He has to leave the scene of the record to be able to say he lived through the record. And so “Grand Finale” and the mythos surrounding it sets the tone for the outro phenomena across Mac’s music. That is, he cannot trap himself and stop moving forward. It is a moment of intense growth, which is why at times the outros sound jarring in relation to the rest of the album. In that breath, to understand the pivot of “The Festival” on Mac’s alkaline GO:OD AM, we must scroll back to “Ascension,” where the music first changes in tone. 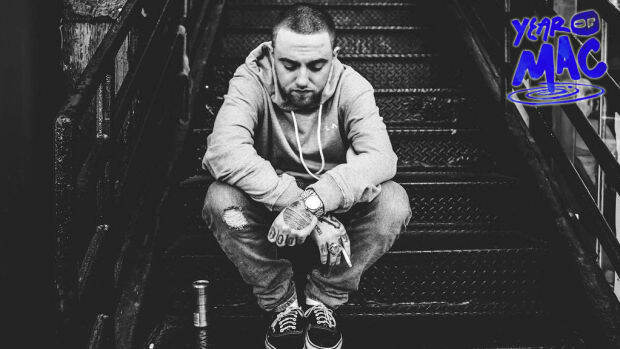 The silvery touch of the track, paired with lyrics of becoming a new man and facing fears of self-inflicted death, of being terrified of your own self, all work together to underscore that thing Mac Miller must live through to produce his music. “The Festival” opens with an exit, but it also begins with a plea. 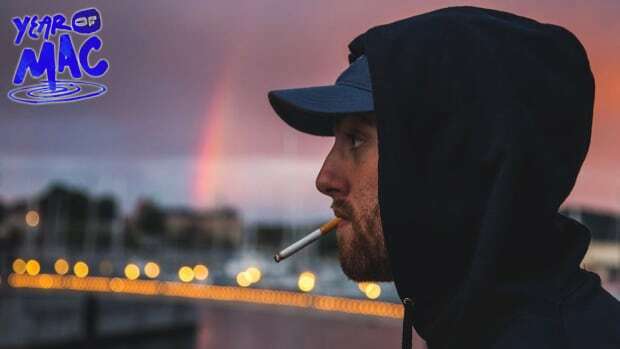 Mac asks us to let him go, to let him leave the space of the album—riddled with paranoia and anxiety over fame and wealth—and ascend to a place where his demons cannot touch him. He must leave to find himself, just as he had to leave Faces to live through the drug binge that helped fuel the album. This is why “The Festival” is the most live record on the album. Warm chords, a breathless flow, and the sweet chirp of birds in the distance all combine to give this song a touch of peaceful reality. 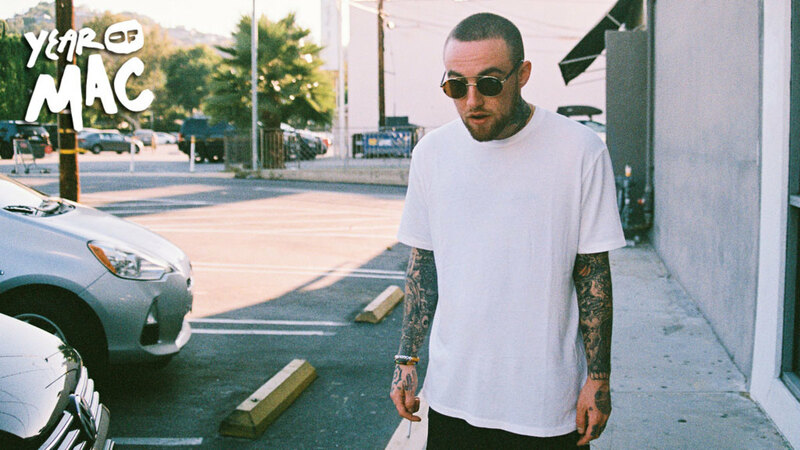 Mac exits GO:OD AM and approaches peace, which is why we can easily let him go. We hear the goodness of the place he approaches, and though we are attracted to artists killing themselves, the enticing calm of “The Festival” convinces us to let him live. All of which brings us to Mac’s final outro, “So It Goes.” After the heavenly “2009,” the rich timbre of “So It Goes” sounds oddly out of place and nearly drab. The question of why gets an easy answer: because life does not ask. Mac showcases the fallout of pursuing peace. Where he reaches reprieve on “2009,” “So It Goes” sounds like the clouds tightening in once more. 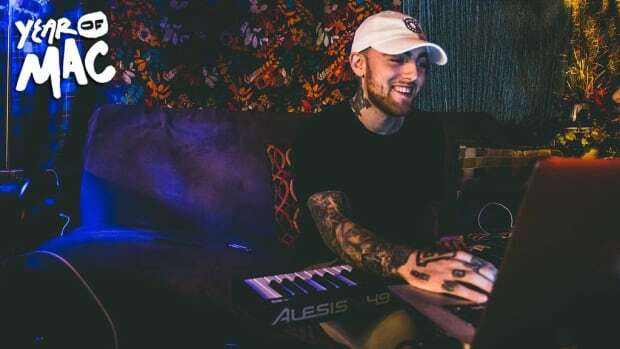 Less of a tragic moment, but more of an honest depiction of life’s ebb and flow, the track features Mac Miller being phased out of his own record. 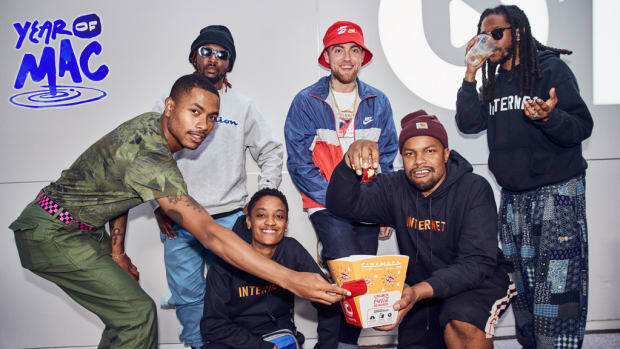 Mac is no longer asking to leave, as on “The Festival,” instead, he takes leave. He must. As the close of his most self-effacing record, Mac understands that he has to leave this album behind in order to grow, no questions asked. The proverbial fireworks of the grand finale, this time around, are a swell of static and synths. Once again, Mac Miller made it out alive, and while life may not always be so sweet, the fact that he is living deserves to be celebrated. A tidal wave of sound whisks him away. Mac Miller escapes into the music.